In a single minute there are over 695,000 status updates on Facebook. That’s just one example of the scale on online activity. The infographics over show a bunch of other incredible things that happen in 60 seconds (via Barry Ritholtz). 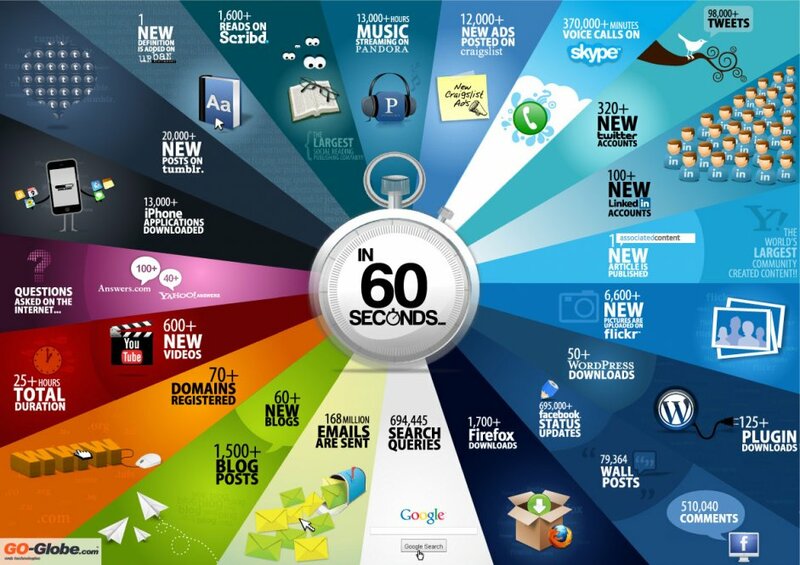 The rest via Incredible Things That Happen Every 60 Seconds On The Internet.